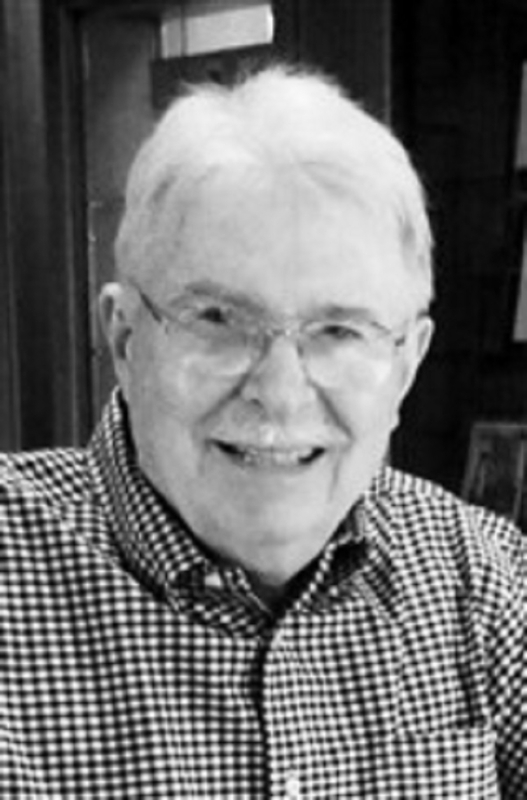 MONTGOMERY, AL, February 26, 2019 — Marquis Who's Who, the world's premier publisher of biographic profiles, is proud to present Alan Gribben, Ph.D., with the Albert Nelson Marquis Lifetime Achievement Award. An accomplished listee, Dr. Gribben celebrates many years' experience in his professional network, and has been noted for his academic achievements, leadership qualities, publications, public service, and editorial skills. Dr. Gribben's education includes earning a Ph.D. in English, University of California at Berkeley, 1974; an M.A. in English, University of Oregon at Eugene, 1966; and a B.A. in English, University of Kansas at Lawrence, 1964. Accruing 45 years of university teaching experience and administration, most recently as Professor of English, Auburn University at Montgomery, 1991-present; previously, Head, Department of English and Philosophy, Auburn University at Montgomery, 1991-2010; Director, English Composition Program, Auburn University at Montgomery, 2007-09; Faculty representative, Auburn University Board of Trustees, 2003-09; President, Department Heads Council, Auburn University at Montgomery, 2003-06, 2008-09. Before his move to Auburn University at Montgomery, Dr. Gribben was Professor of English, University of Texas at Austin, 1988-1991; Associate Professor of English, University of Texas at Austin, 1980-88; Chairman, English Graduate Studies, University of Texas at Austin, 1984-88; Assistant Professor of English, University of Texas at Austin, 1974-1980. He began his teaching career as an English instructor at the University of California at Berkeley, 1972-73. From 1967 to 1974, Dr. Gribben was an assistant research editor for the Mark Twain Project, Bancroft Library, University of California at Berkeley. Dr. Gribben has served on many university committees, including the Alabama State Graduation Requirements Task Force, 1995-96; Co-chair, “The State of Mark Twain Studies” international conference, Elmira College, New York, 1993; Co-chair, “Cotton: The Fiber, The Land, The People” national conference, Auburn University at Montgomery, 1994. He has served as an Honorary Trustee, Mark Twain House and Museum, Hartford, Connecticut, 1980-present; Special consultant, Mark Twain Library Association, Redding, Connecticut, 1980-present; Member, Executive Board, American Literature Association, 1989-1996; Member, National Advisory Council, American Literature Section, Modern Language Association, 1985-87; Associate Editor, Libraries & Culture (journal), 1980-1990; Member of Editorial Boards, American Literary Realism (journal), 2004-present; Studies in American Realism and Naturalism Series, University of Alabama Press, 2005-present; Studies in American Humor (journal), 1982-2016; Western American Literature (journal), 1991-98; Studies in American Fiction (journal), 1988-1997; University of Mississippi Studies in English (journal), 1986-1997; Member, National Committee of Advisors, Center for Mark Twain Studies, Elmira College, 1987-2012. Dr. Gribben's main creative work is Mark Twain's Literary Resources: A Reconstruction of His Library and Reading (3 vols. ), 2019. This fifty-year project to locate, catalog, and evaluate Mark Twain's literary resources received praise from Publishers' Weekly (“scrupulously researched”), Frederick Crews (“masterwork”), Joe B. Fulton (“definitive guide to Mark Twain's intellectual universe”), Maxine Hong Kingston (“magnificent”), and Kevin Mac Donnell (“a model for all future enquiries into the wellsprings of the creative process”). Dr. Gribben is also Editor-in-Chief and Publisher of the Mark Twain Journal: The Author and His Era (scholarly journal), 2009-present. He is also the editor, author, or reviewer of the following works: reviewer, “Mark Twain” essays in American Literary Scholarship: An Annual, 1995-2010, 2012; editor, Mark Twain's Adventures of Tom Sawyer and Huckleberry Finn (two versions), 2011; co-editor, Mark Twain on the Move: A Travel Reader, 2009; author, Harry Huntt Ransom: Intellect in Motion (biography), 2008; co-editor, Overland with Mark Twain, 1992; Editor, “'The Heart Is Insatiable': A Selection from Edith Wharton's Letters to Morton Fullerton, 1907-1915,” The Library Chronicle, 1985; editor, Mark Twain's Rubáiyát, 1983; author, Mark Twain's Library: A Reconstruction, 1980. Dr. Gribben is a frequent contributor to scholarly journals in the humanities. Dr. Gribben has been recognized for exceptional classroom teaching since 1983. He was the inaugural recipient of the “Excellence Through Diversity Award,” Auburn University at Montgomery, 2015; the “Nance Alumni Professorship,” Auburn University at Montgomery, 2006-09; the “Alumni Faculty Service Award,” Auburn University at Montgomery, 2005; the “Distinguished Research Professorship,” Auburn University at Montgomery, 1998-2001; and the “President's Associates Teaching Excellence Award,” University of Texas at Austin, 1983. Dr. Gribben's honors include the “Henry Nash Smith Fellowship,” Center for Mark Twain Studies, Elmira College, 1997-99; a “Lifetime Honorary Membership,” Mark Twain Circle of America (scholarly society), inducted 1995; and the “Langdon Research Fellowship-in-Residence,” Quarry Farm, Elmira College, 1987. He was a co-founder of the Mark Twain Society of America (scholarly society), 1986, and was its president from 1987-89. He remains a consultant to various publishers, academic societies, and other scholars. Dr. Gribben is also a member of Phi Kappa Phi honor society and the Phi Kappa Psi fraternity. In recognition of outstanding contributions to his profession and the Marquis Who's Who community, Alan Gribben, Ph.D. has been featured on the Albert Nelson Marquis Lifetime Achievement website. Please visit www.ltachievers.com for more information about this honor.